← Check out this set of Holtzapffel tools in a very familiar looking case. 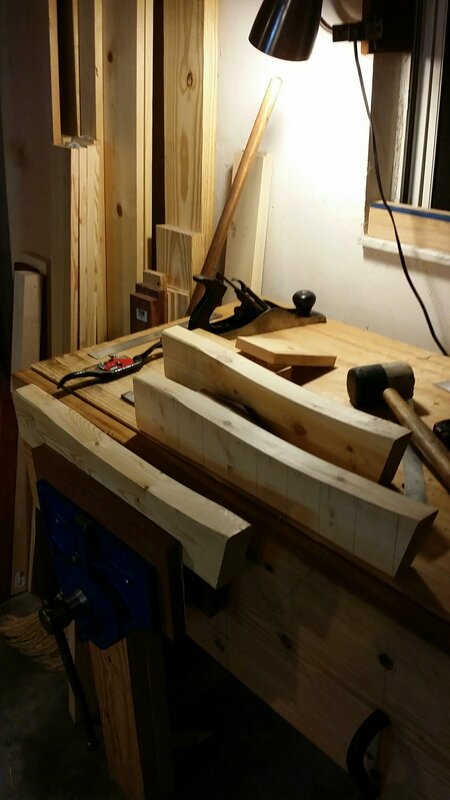 I took a break from my projects to start to knock together a 2 seater Adirondack 2 seater swing for a friend. It’s a birthday present for his wife. I’ve built a few chairs so not too worried. The hardest part is getting the gentle curve of the seat supports cut and smooth. The plan I’m following is no help in how to lay it out other than saying use a 2 inch grid. Great. But I’m a handtool woodworker and I was up to the challenge. I laid out the grid then used a 1×4 cutoff to eyeball and step off the curve. It didn’t take me long to think of this either, I think I’m most proud of that. 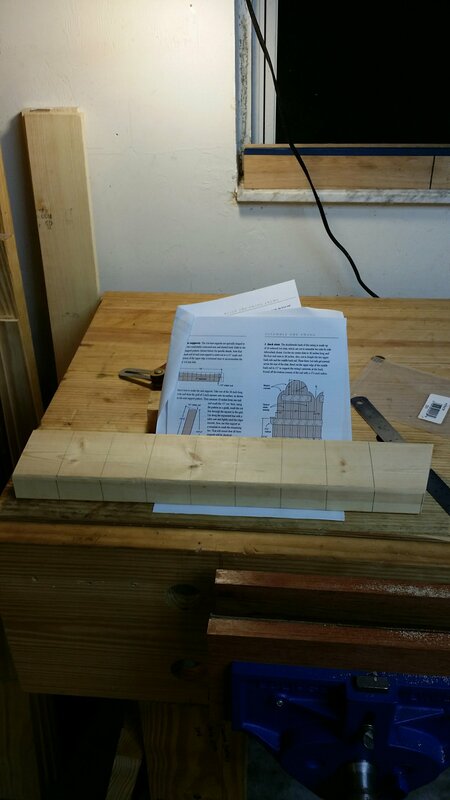 The 1x4s will be laid perpendicular to the seat supports so this was the best way I could think tp do it and make sire the slats sat fairly flat on a curve. 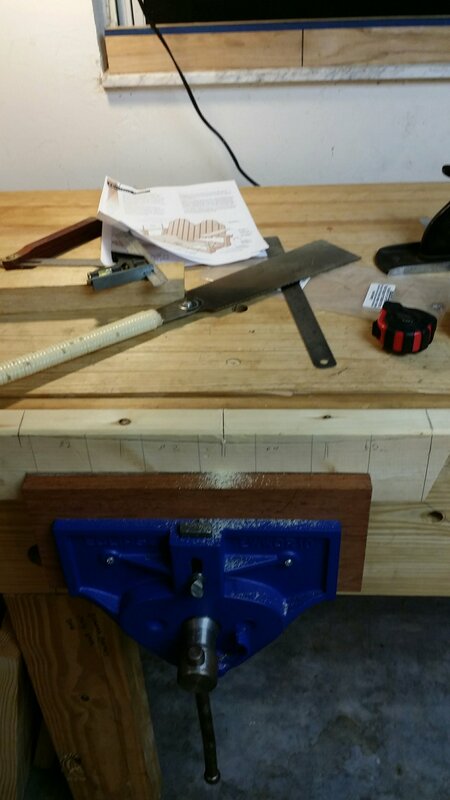 Following the Sellers method of using a chisel bevel down to hog off material in a curve, I made some vertical cuts almost down to my layout lines. Then I chisled out most of the waste. 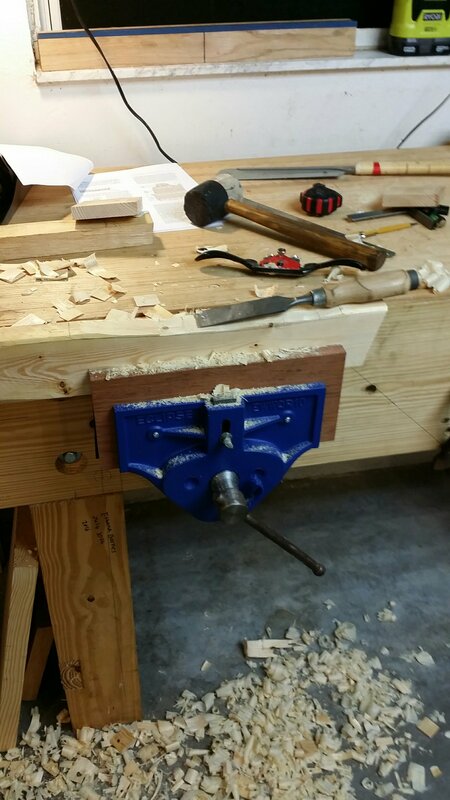 When I got close I switched to the spokeshave. After I finished one, I used it as a template amd worked the remaining two down until the curves all matched. I’m pretty happy, this only took me about an hour. I must be getting a little better, lol. 4 Responses to Swing for a friend. Good stuff, Chris. It is interesting how things become second nature. You gotta cut an internal arc, you make some relief cuts and chisel to the line. It becomes a no-brainer. I’ve learned so much from Paul and if you keep at it, it really sticks. Thanks Matt! I see your a Bob Rosieski fan:) me too. What small world. We got our first cold snap back her in gator country today. It was a great day to be in the shop. Take care and thanks for reading. The Adirondack chair swing seems like an interesting project. I guess it is of more use in a nice and warm place than in windy and rainy Scandinavia. I could see myself sitting in one on a porch if the weather was nice and warm, having a cup of tea or a drink..
Lol. We are lucky with the weather here. It feels great to make something for a friend.